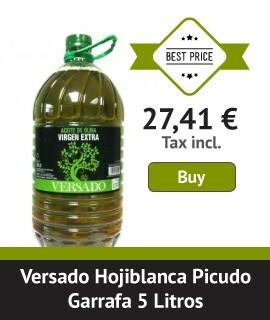 "Aceiteros por tradición" (Olive oil producers by tradition) a slogan that we have had for generations. In Mueloliva we have made of the olive oil a lifestyle. Based in the middle of Subbetic Cordoban, we make our products as tradition dictates, with the patience and care that a great olive oil needs, and all this to be a benchmark in the modern lifestyle and healthy eating. This is one of the finest olive oils we can enjoy. Mixture of varieties Hojiblanca and Picudo, offers us an intense fruitiness, whose entrance is sweet, slightly bitter and with a certain progression in spicy. Very complex, balanced and harmonious, you won't be disappointed at all. Olive oil is one of the finest products you can enjoy not only for its flavor, also for its outstanding culinary and food conditions that make it unique in the best kitchens.